Yet, despite having so many things to be upset or frustrated about, he chose to be thankful for his blessings instead. Ultimately, arriving at the river in the Valley of Lemuel meant that he and his family would not die of thirst in the wilderness. Lehi appears to have chosen to focus on his blessing, the water that would keep his family alive, rather than on his misfortunes.10 Directing his mind in this way surely helped him to feel gratitude in his heart, and it provided an enduring example of righteousness for his murmuring family members and for all of us. 1. Abraham Lincoln, "Proclamation of Thanksgiving (October 3, 1863)", online at abrahamlincolnonline.org. 2. For more on giving thanks in the Book of Mormon, see Book of Mormon Central, “Why Should We Take the Time to Give Thanks to God? (Mosiah 24:22),” KnoWhy 238 (November 24, 2016). 3. See Book of Mormon Central, “Why Does Zion Flourish in the Wilderness? (1 Nephi 2:2),” KnoWhy 362 (September 7, 2017). 4. George Potter and Richard Wellington, Lehi in the Wilderness: 81 New, Documented Evidences That the Book of Mormon is a True History (Springville, UT: Cedar Fort, 2003), 22, 41. 5. For more on the murmuring of Laman and Lemuel, see Neal Rappleye, “The Deuteronomist Reforms and Lehi’s Family Dynamics: A Social Context for the Rebellions of Laman and Lemuel,” Interpreter: A Journal of Mormon Scripture 16 (2015): 87–99. 6. For a proposed physical location of this valley, see George D. Potter, “A New Candidate in Arabia for the ‘Valley of Lemuel’,” Journal of Book of Mormon Studies 8, no. 1 (1999): 54–63, 79; S. Kent Brown, “New Light from Arabia on Lehi's Trail,” in Echoes and Evidences of the Book of Mormon, ed. Donald W. Parry, Daniel C. Peterson, and John W. Welch (Provo, UT: FARMS, 2002), 60–62; S. Kent Brown, “The Hunt for the Valley of Lemuel,” Journal of Book of Mormon Studies 16, no. 1 (2007): 64–73, 86–88; Book of Mormon Central, “Have the Valley of Lemuel and the River Laman Been Found? (1 Nephi 2:6),” KnoWhy 286 (March 13, 2017). 7. 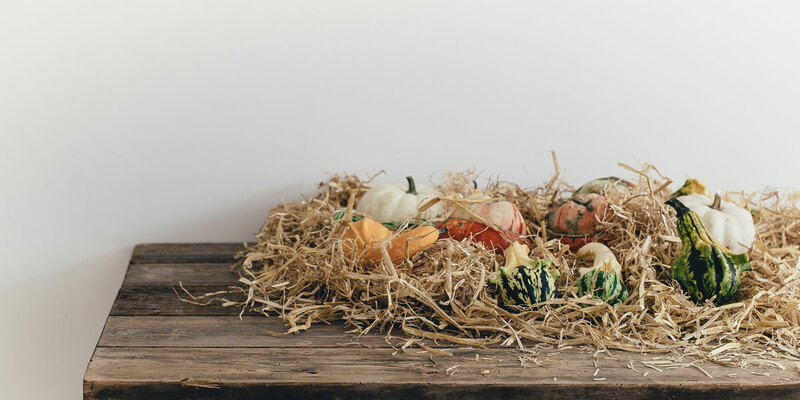 For insights on what it really means to give thanks, see Taylor Halverson, “Giving Thanks Now and Always,” Deseret News, November 23, 2014; “Giving Thanks Now and Always, Part 2,” Deseret News, November 24, 2014. 8. For more on how Lehi could offer sacrifices so far from the temple in Jerusalem, see Book of Mormon Central, “How Could Lehi Offer Sacrifices Outside of Jerusalem? (1 Nephi 7:22),” KnoWhy 9 (January 12, 2016); David Rolph Seely, “Lehi’s Altar and Sacrifice in the Wilderness,” Journal of Book of Mormon Studies 10, no. 1 (2001): 62–69, 80; Brown, “New Light from Arabia on Lehi's Trail,” 62–63; S. Kent Brown, “What Were Those Sacrifices Offered by Lehi?” in From Jerusalem to Zarahemla: Literary and Historical Studies of the Book of Mormon (Provo, UT: Religious Studies Center, Brigham Young University, 1998), 2; Hugh Nibley, An Approach to the Book of Mormon, The Collected Works of Hugh Nibley, Volume 6 (Salt Lake City and Provo, UT: Deseret Book and FARMS, 1988), 245–246. 9. For more on why Laman and Lemuel did not want to go with Lehi, see David Rolph Seely, “Nephi’s Use of Isaiah 2–14 in 2 Nephi 12–30,” in Isaiah in the Book of Mormon, ed. Donald W. Parry and John W. Welch (Provo, UT: FARMS, 1998), 165. 10. For more on this scene, see Book of Mormon Central, “Did Lehi Use the Poetry of the Ancient Bedouin? (1 Nephi 2:9–10),” KnoWhy 5 (January 6, 2016); Hugh Nibley, “Lehi in the Desert—Part VI,” Improvement Era 53, no. 6 (June 1950): 517–518; Hugh Nibley, “Lehi in the Desert—Part VII,” Improvement Era 53, no. 7 (July 1950): 566–567, 587–588; reprinted in Hugh Nibley, Lehi in the Desert/The World of the Jaredites/There Were Jaredites, The Collected Works of Hugh Nibley, Volume 5 (Salt Lake City and Provo, UT: Deseret Book and FARMS, 1988), 84–92. 11. Dallin H. Oaks, “Give Thanks in All Things,” Ensign, May 2003, online at lds.org.